Having recently reviewed Gold Note’s stunningly good sounding P-1000 solid state pre-amplifier, when NOVO asked if I’d like to review Gold Note’s PH-10 solid state phono stage ($1,500 USD) and PSU-10 upgrade A/C power supply ($1100 USD), I was more excited than Tom Cruise bouncing up and down on one of Oprah’s interview sofas. 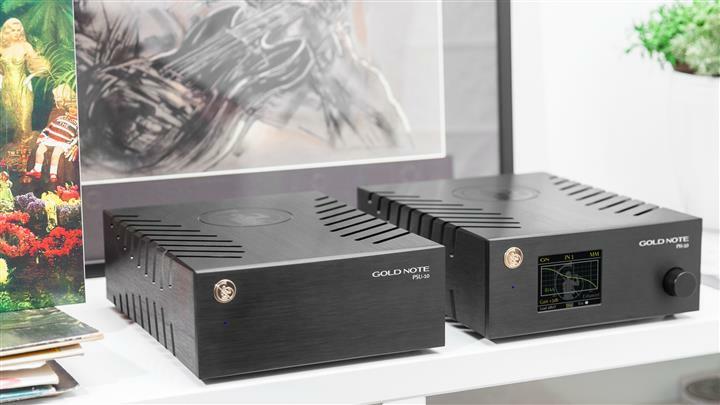 Based out of Firenze Italy, Gold Note are world renowned for fabricating high-end turntables, tonearms, cartridges, amplifiers, and top shelf audio components. My review sample PH-10 phono pre-amplifier came with a gorgeous black anodized aluminum chassis. The PH-10 is also available in red, silver, black and gold finishes. From an aesthetic standpoint, this is an irrationally beautiful component with an exceedingly high WAF (wife acceptance factor). Gold Note makes average looking gear like Lamborghini builds average looking cars. The PH-10 is a work of art. From the front panel’s TFT display to the raked tiger-claw vents in the chassis, this is the sexiest phono stage that I’ve ever reviewed. The PH-10 is loaded with options and features too. 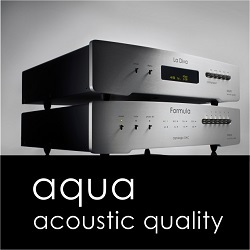 It has six equalization curves including the RIAA, Decca-London, American-Columbia EQ curves. 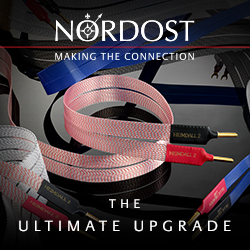 Optionally each of the internationally recognized curves can be set to “enhanced” which uses Gold Note’s cutting-edge proprietary technology to achieve the best vinyl playback experience. The color front panel display shows which specific EQ curve is in use. The PH-10 has two separate RCA phono inputs which can be connected to two different turntables at the same time. Each input can be set for either an M/M or M/C cartridge. 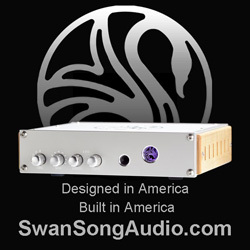 This phono preamp also offers four different selectable gain levels: -3dB, 0dB, +3dB, and +6dB. This allows for precision matching to whatever output level is coming from a specific M/M or M/C cartridge. 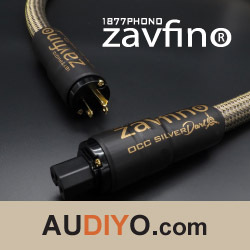 The PH-10 also has nine different loading options: 10Ω, 22Ω, 47Ω, 100Ω, 220Ω, 470Ω, 1,000Ω, 22KΩ, and 47KΩ. This is the most customizable and versatile phono stage I’ve ever seen under the $3K USD retail mark. 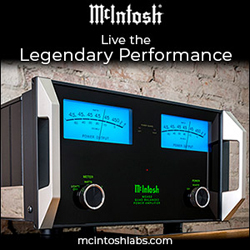 A lot of $5K+ USD level phono stages don’t offer this many gain and loading settings. The PSU-10 is an outboard higher capacity power supply that’s designed specifically to improve the sound quality of the PH-10 phono stage. 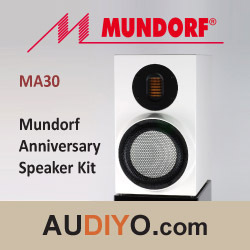 Its solid state circuitry uses four independent transformers. Three of the transformers are dedicated to the A/C power supply. One transformer solely powers the inductive filter. Gold Note’s proprietary *dual choke* design filters signal voltages to minimize A/C borne RFI and EMI distortion and electrical “pollution” coming from the A/C grid. 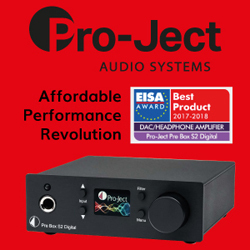 They claim that the PSU-10’s higher capacity dramatically enhances the PH-10’s macro and micro dynamics, increases resolution & transparency, and allows the phono stage to reproduce far more micro-details within a larger 3-dimensional soundstage. The front panel of the PSU-10 has one ‘On/Off’ LED. The rear panel has a 15Amp male IEC plug, a ‘Master Control’ power switch, and one proprietary power supply cable output. Connecting the unit is a no-brainer. Simply plug an A/C power cord into the PSU-10’s rear panel IEC inlet. Then connect the PSU-10 to the PH-10 via a custom 8-pin cable. And Voila…! That’s it. 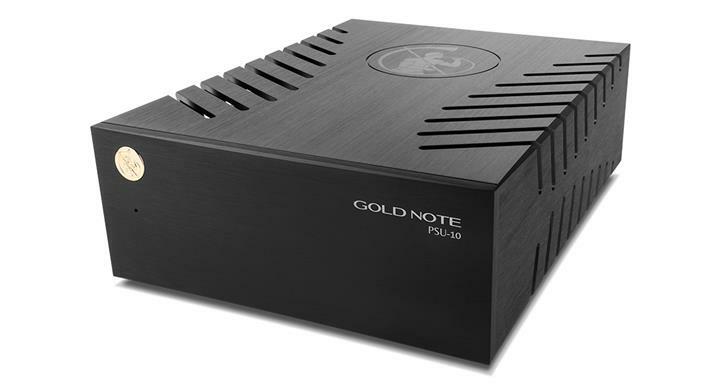 Gold Note recommends NOT placing the PSU-10 too close to the PH-10. As both units are half-sized, positioning the PSU-10 a wee distance away from the PH-10 is easy. I primarily used my heavily-modified Rega Planar 25 turntable + RB-600 tonearm with a Sumiko Pearwood Celebration Mk#2 M/C cartridge as a source. 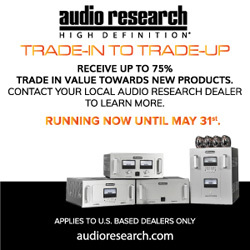 Although I conducted listening tests with far more expensive TTs and tonearms, my P25 is priced right for someone interested in the PH-10 + PSU-10 combo. I left the PSU-10 ‘On’ all of the time. It settled-in and reached its best sound after about a week of daily usage. With a phono stage as versatile as the PH-10, finding the best sounding input impedance setting isn’t an exact science. 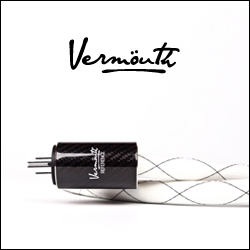 There are, after all, a myriad of factors that affect the sound quality produced by any TT rig. 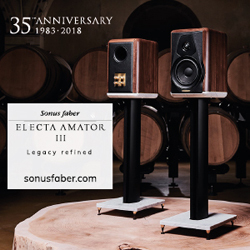 These include the quality of the vinyl itself, the thickness of the record, the manufacturing quality of any record’s grooves, and even how and where the album was mastered. I tried different LPs with various impedance settings with my Rega P25 rig and couldn’t isolate a pattern of one setting sounding consistently better than the others. Although I listened to all of the EQ curves, the RIAA setting produced the best sonics. You want a perfect solution? Try a cup of Timmy’s Columbian roast with fresh 18% cream and some brown sugar. Sonically speaking, the $2,600 USD PH-10 + PSU-10 combo bats right down the middle. It doesn’t sound overly warm and euphonic like a 1980s era vacuum tube phono stage. 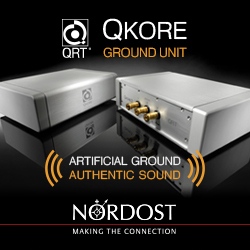 Nor does it sound as flat and/or 2-dimensional as most modern sub-$3K USD level solid state phono pre-amps. Overall, I’m delighted to report that the $2,600 USD PH-10 + PSU-10 combo produced a sound quality that competes — heck… even surpasses — many phono stages in the $3.5K USD to $4K USD level. 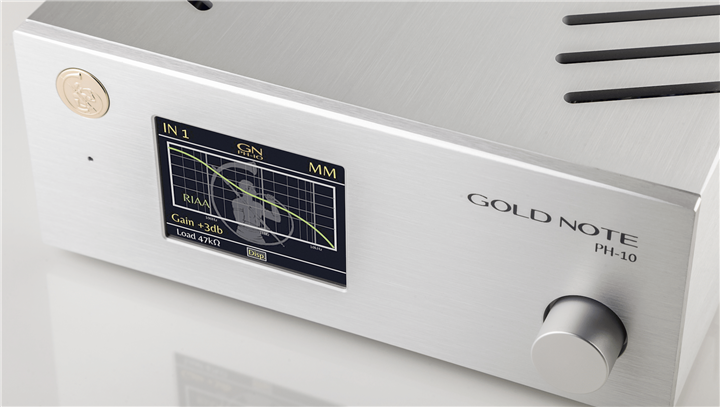 Gold Note’s PH-10 didn’t create the warmth or timbral accuracy of my heavily-modified Sonic Frontiers Phono-1 SE or my Manley Steelhead tube phono stages. The PSU-10 does, however, push the sound quality of the PH-10 significantly higher. For its $2,600 USD combo asking price, the PH-10’s sound quality is exceptionally high. 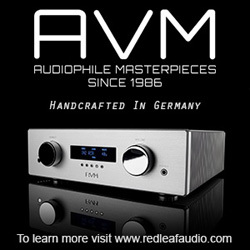 No other solid state phono preamp produces such stellar sonics at, by audiophile standards, such an affordable price.